Blocked resources can have a negative impact on a HTTPS migration. Ensure your page resources are not blocked by your robots.txt file. When you change from HTTP to HTTPS, it is particularly important that there are no blocked resources so Google can have a clean look at the entirety of your site. It is recommended by the Google webmaster guidelines that you not have page resources blocked. 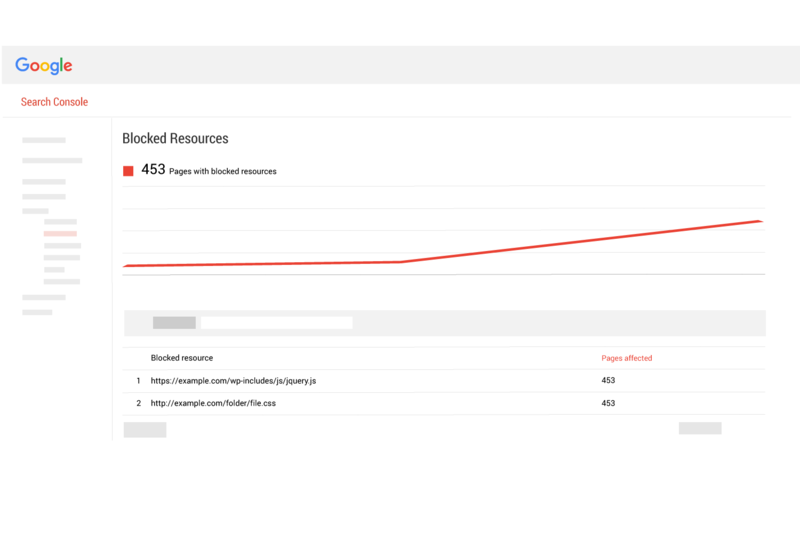 When a webpage has blocked resources, Google does not get a complete picture of that webpage, which can affect your rankings negatively. A good example of this would be a responsive web page. If Google can not see the CSS file that makes the page responsive, Google may not rank that page for mobile because it does not see the CSS that makes the webpage mobile friendly. The reason that blocked resources become even more of an issue during an HTTP to HTTPS switch is because Google will need the least restricted and most complete view of your site to facilitate the timely indexing of the secure version of your URLs. There is also the matter of the reason why your resources are blocked in the first place. 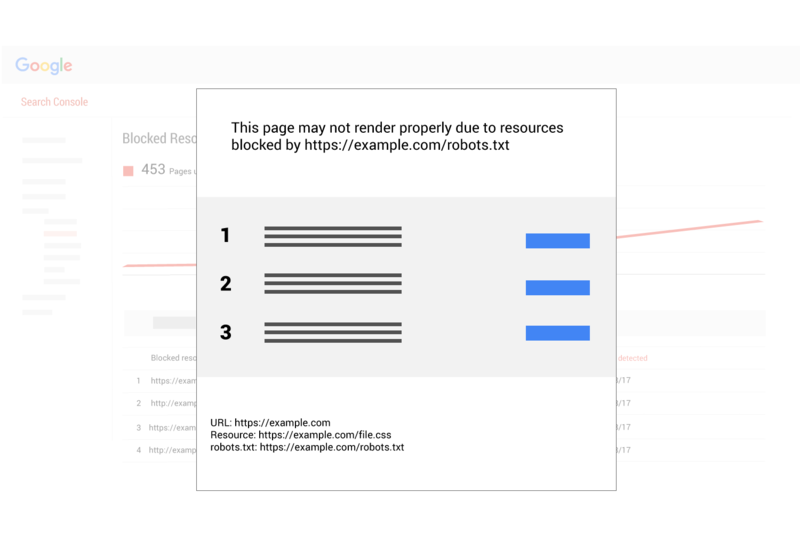 It is likely that there are instructions in your robots.txt file that are restricting Googlebot from crawling your resources. This is a good time to ensure that whatever is blocking your resources isn’t blocking other important things. A big part of switching to HTTPS is knowing and updating your robots.txt file and making your website as accessible to Googlebot as possible. 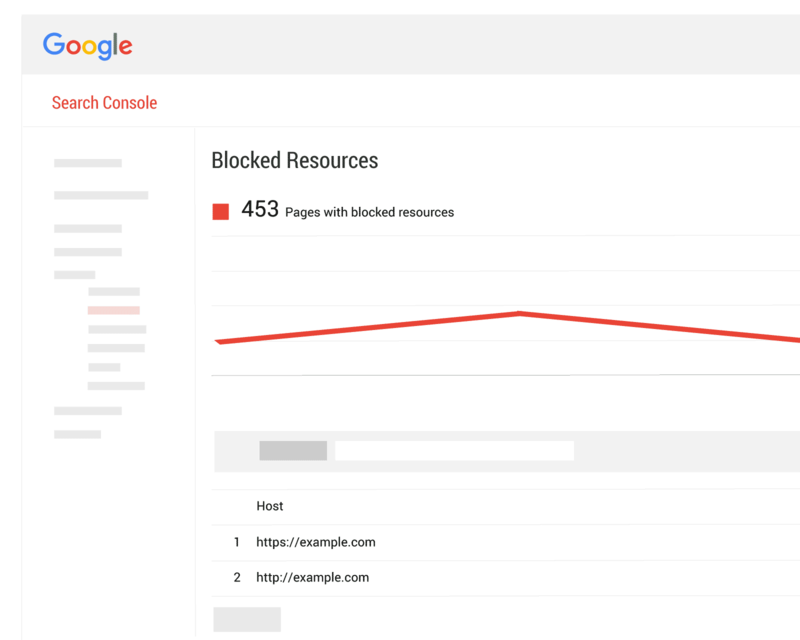 In Google search console there is a “Blocked Content report”. The report has a graph that shows the amount of blocked content. On the first page of the report (shown above) you will see the Host name and the number of pages affected by the blocked content. In a typical setup, you will see the HTTP and the HTTPS version and the number of pages affected by blocked content. Follow the steps provided to unblock the resource. There is an enormous opportunity to improve your SEO when you switch to HTTPS. Google will basically recrawl your entire site in a very short time, leading to a timely and total reindexation of all your webpages. This means that any improvements made to your pages will be found quickly and those improvements will make it to the Google index in a timely manner. 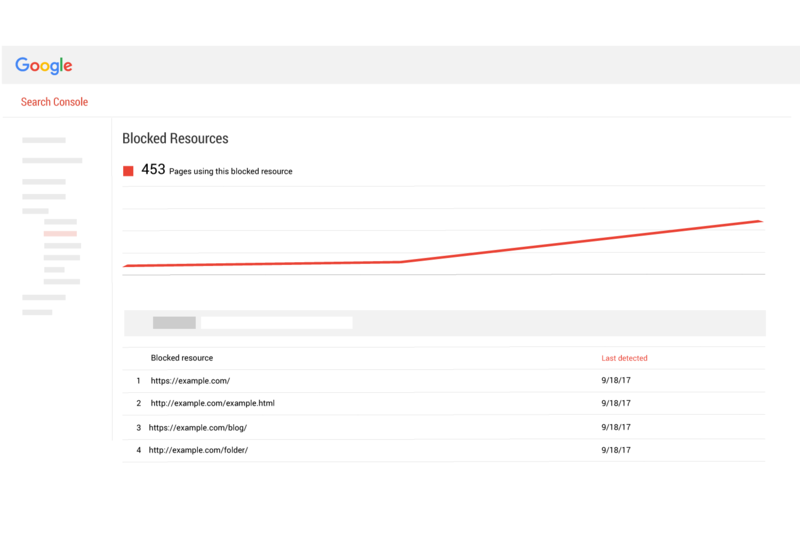 Since blocked resources are against the Google webmaster guidelines, the optimization benefits of unblocking them are well worth the effort. 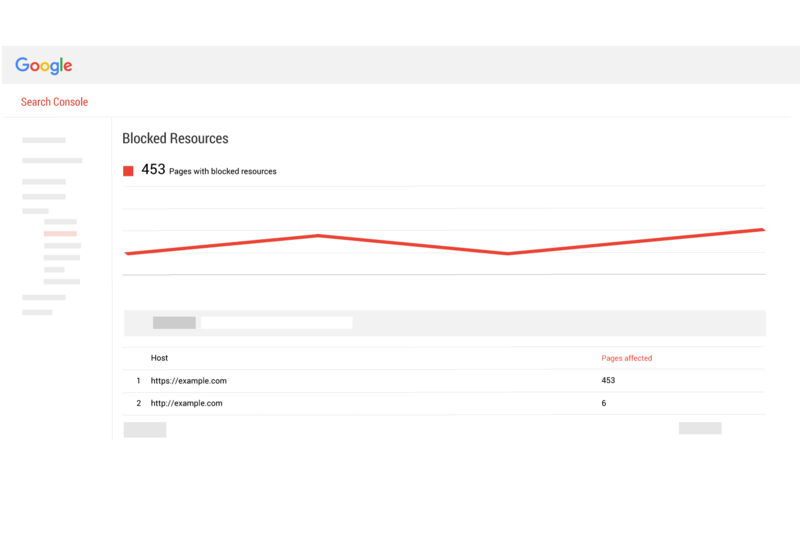 Unblocking resources prior to an HTTPS switch will ensure that Google will quickly notice and act on your optimized pages.